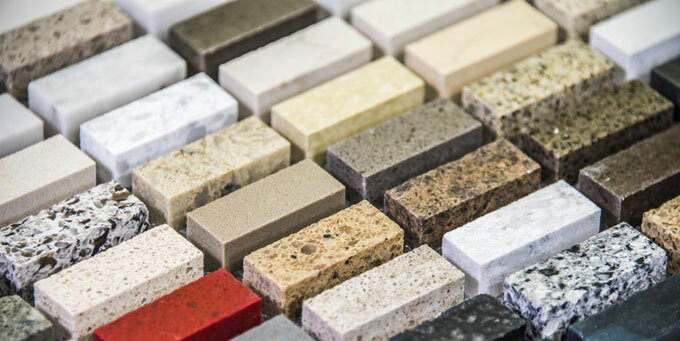 There are multiple products on the market using various terms including ‘artificial granite’, ‘synthetic granite’, ‘liquid granite’, and ‘epoxy granite’. 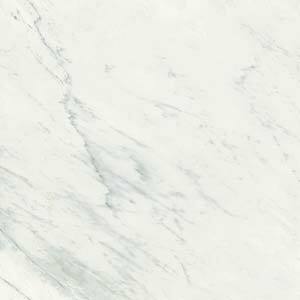 All of these terms indicate that you’re not getting a slab of genuine natural granite – in fact you may not be getting any granite at all! Manufacturing techniques and materials used vary from product to product. 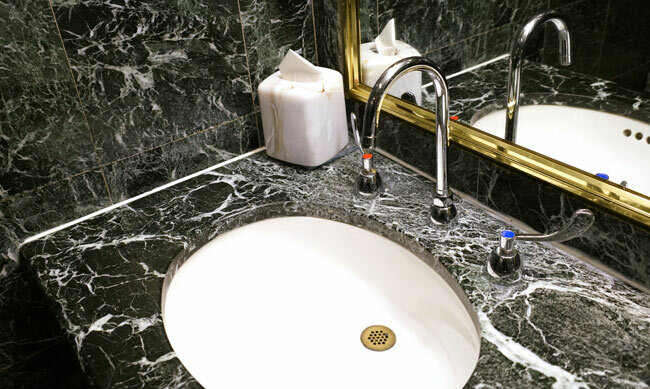 The two most common options are ‘liquid granite’ and ‘epoxy granite’. 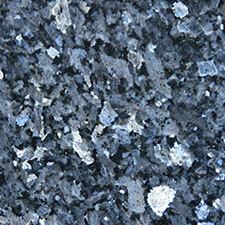 What is liquid granite made of? 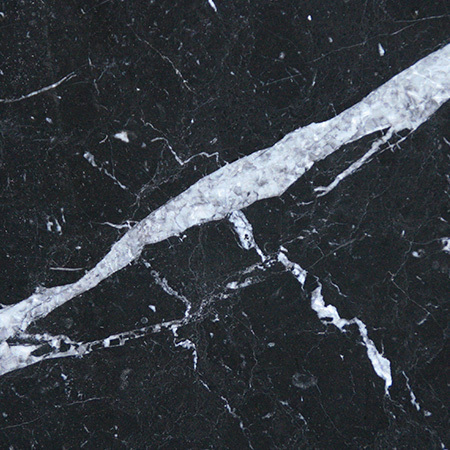 Liquid granite, which can also be known as synthetic granite, isn’t stone at all. 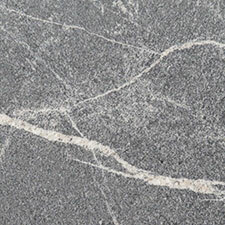 The term is used for a particular type of extra-strong concrete developed by Sheffield Hallam University, and also for a technique for pouring and decorating concrete to make it look like granite. The exact composition of concrete varies, but it will include sand or stone dust, cement (a binding agent) and water. It may also contain larger pieces of stone or other materials. 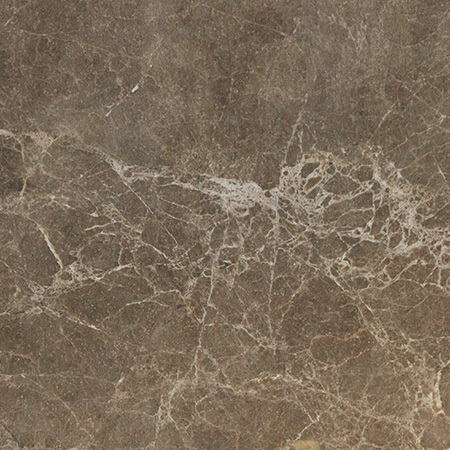 Epoxy granite is made of granite particles bonded together by an epoxy. This will typically be around 95% real, natural granite but it won’t have the patterns and textures that characterize natural granite. It may be dyed to create a wider range of colours than are available in nature. 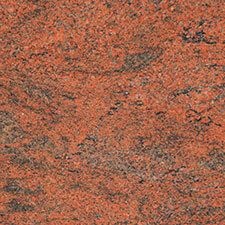 What are the advantages of synthetic granites? Synthetic granites are often used in public buildings and outdoor spaces where an ornamental effect is required on a tight budget. Generally, in these cases, the intention is not to create a perfect imitation of granite but to create an overall pleasing effect. Concrete can easily be poured over large areas so it’s a quick and easy way to create a plaza or lay a floor in a municipal building. 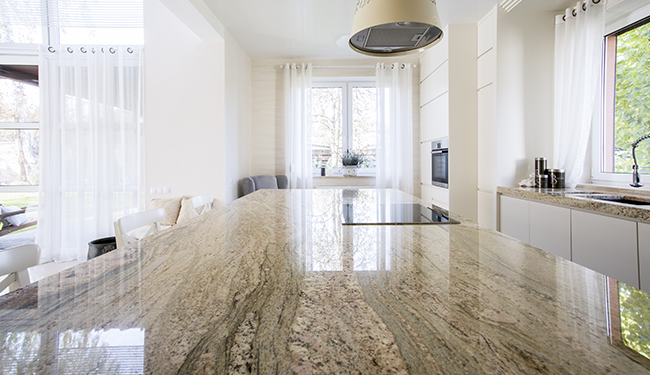 How does synthetic granite compare to real granite? 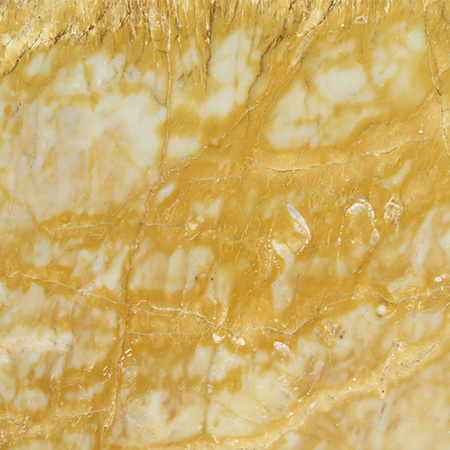 As professional stone workers, at Surrey Marble and Granite we’ve encountered almost every stone and stone substitute on the market. 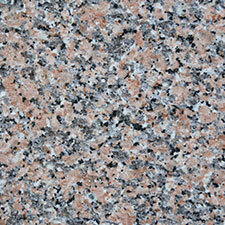 We offer a wide selection of quartz worktops and engineered stones but we don’t offer liquid granite or epoxy granite. 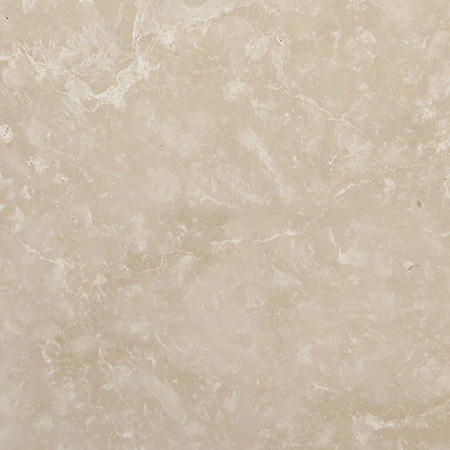 We’ve carefully selected the natural and engineered stones in our catalogue to offer quality and value for money. 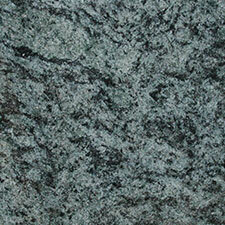 We have yet to find a synthetic granite that we’re truly happy with. Should that change in the future, we’ll update our blog!